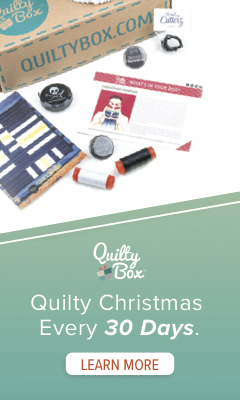 Amy is the first winner and will recieve her prize direct from Quiltmaker. Quiltmaker may already have contacted you Amy….if not they will. Congratulations on being in the magazine! I like the block. The stars really stand out. Shamefully, I haven’t started anything yet for the holidays other than trying to organize my house and shopping for a new Christmas tree. No need to get in a rush. LOL! And the second winner from my site direct is Heather. Heather please contact me via my email found on my contact page on this site. I am working of blocks for my version of a Dear Jane quilt using a huge assortment of orange fabrics. It has been lots of fun. As for getting ready for the holidays. I am one of those people who wait for the last minute and then hope for a miracle. Sometimes the little fairies sneak in and help me out, other times I am digging out various decorations shortly before the guests arrive. There were so many wonderful comments and I was delighted at the traffic here on the site. Please remember that this site is set up for all comments to be overviewed by me before posting to prevent spam, so it sometimes takes time for your comments to show. The good thing is that I read them all, and I really do enjoy hearing what you all are up to. Sorry peeps, no pictures today….just the winners. I have to get going to Workville again…I am excited to say I have this upcoming weekend OFF!! If I get up the energy and all, we may be at the 200th post by then, and there will be even more fabulous giveaways!! So come on back now, y’all hear? Scott – I am so excited to win a copy! Quiltmaker has already contacted me. What a great surprise when I got home and checked my e-mail. Many thanks for taking the time to do the giveaway with your hectic schedule. SO Cool about your pubications!! Congrats! !